The festival of Eid-ul-Fitr occurs to mark the conclusion of the Holy month of Ramadan. Not only does the festival celebrate the completion of such a blessed, auspicious month, but it also forms one of the most significant celebrations in the Islamic lunar calendar. Each Islamic lunar month is commenced upon the sighting of the new moon; therefore, the month of Ramadan is concluded with the festival of Eid-ul-Fitr by the sighting of the new moon on the evening before. Eid-ul-Fitr 2019 is estimated to fall on or around Tuesday 4th June, subject to the sighting of the moon. Traditionally, Eid-ul-Fitr falls on the first day of the month of Shawwal and it is forbidden to fast on this day, although the exact date can differ by location due to the differences in lunar sightings. Some communities choose to celebrate once the sighting is made over Mecca, in order to celebrate at a consistent time. Eid dates 2019 are subject to change depending on the sighting of the moon. Confirmed dates will be available closer to the Holy month of Ramadan, so remember to check back or consult with your local Mosque nearer the time. The literal translation for Eid-ul-Fitr means, “Festival of the Breaking of the Fast,” or, “the Feast of Fast-Breaking”. Muslims across the world celebrate Eid to recognise the end of the auspicious month of Ramadan. 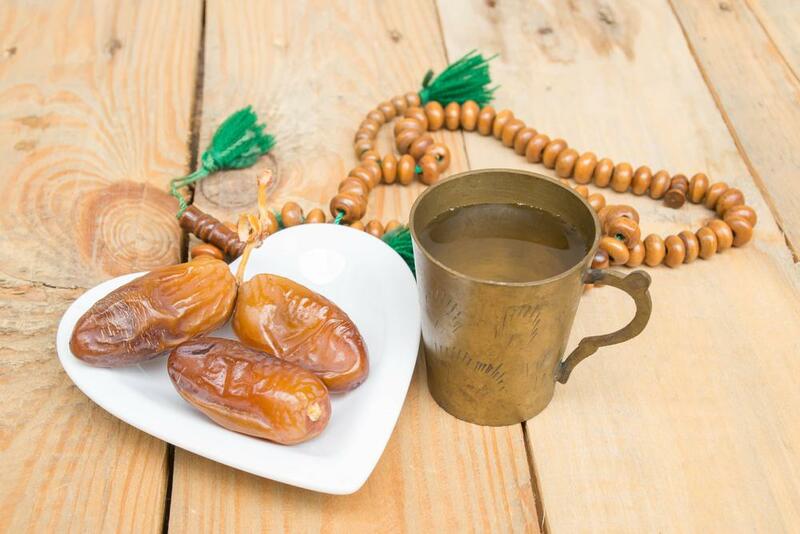 Fasting, both of the body and of the mind, during Ramadan, provides Muslims with the opportunity to feel closer to Allah (SWT) and give thanks for His continued guidance and blessings throughout the year. It also recognises the importance of the month in which the Holy Qur’an was first revealed to the Prophet Mohammad (PBUH). While fasting during the month of sacrifice is considered a directive outlined in the Holy Qur’an, Eid-ul-Fitr is also considered to be a significant, long-held tradition. Although celebrating Eid is not compulsory, doing so provides Muslim communities across the world with a wonderful opportunity to come together and celebrate the joyous occasion with friends, family and loved ones. Eid-ul-Fitr is typically celebrated by waking up early, freshening up (ghusl), wearing your best or new clothes and decorating your hands and soles of the feet with henna. Muslims then attend their local Mosque to offer salaatul Eid (Eid prayers) in congregation. Prior to this prayer, the giving of Zakat-ul-Fitr, also known as fitrana, is prepared to enable those in need around the world to celebrate this special day in the same way as their more fortunate brothers and sisters. Fitrana donations must be made prior to commencing salaatul-Eid. Upon completion of Eid prayers, Muslims will wish each other ‘Eid Mubarak’, meaning, ‘have a blessed Eid’, and will celebrate together over the course of three days. The days consist of praying, feasting and eating together, sharing quality time with loved ones, giving gifts to younger members of the family, and giving to those in need. Although traditional Eid celebrations last over the course of three days, in the UK, it is common for Muslim communities to celebrate Eid over a series of weekends to ensure enough time is available to come together with relatives and close friends. Eid is one of the most joyous occasions in the Islamic calendar, and as such, many Muslim communities (especially the younger generation!) anticipate the celebrations and festivities all year round. While we may be fortunate enough to have the means to enjoy a jubilant time filled with good food, gift giving and our closest friends and family members, many of our brothers and sisters around the world will sadly not have the opportunity to celebrate Eid this year. Consider donating your Zakat-ul-Fitr with Al Mustafa Welfare Trust this year. Thanks to your compassion and generosity, we can help countless vulnerable and disadvantaged Muslims around the world celebrate Eid, bringing a beacon of hope and joy into their lives at this blessed time. From all of us here at Al Mustafa Welfare Trust, we wish you a blessed month of Ramadan and Eid Mubarak! Kul 'am wa enta bi-khair! May every year find you in good health!